For a complete review on how the CFA Level 3 exam tests your understanding of behavioral finance see our overview post. On the Exam: Be prepared for reading a passage, identifying a couple of emotional and cognitive errors, and writing what factors caused you to pick it out. Hindsight Bias : Selective memory. Tend to remember r correct views and forget mistakes. Representativeness : Using overly simple if-then or rule-of-thumb decisions. 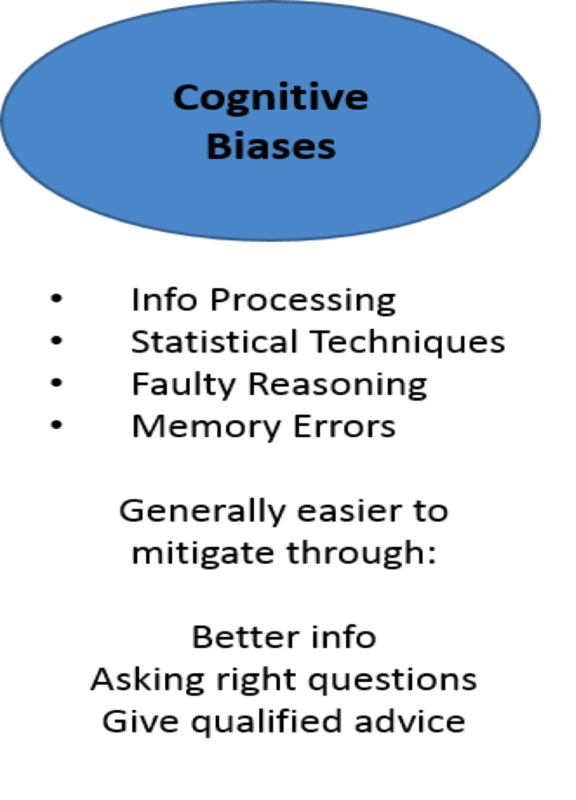 Individuals use heuristics (experience) to classify information: “IF it looks a certain way THEN it must be in a certain category.” There are two forms representativeness bias can take: Base-rate neglect is where new info is given too much weight and sample-size neglect is assuming small samples represent the entire population. Overconfidence : Think you know more than you do (illusion of knowledge/control). Also related to Self-attribution bias where you take credit for the good and pass blame when bad. Self-control bias Insufficient saving due to tendency for overconsumption (short-run gratification) and over-emphasis on income versus total return. Ego-defense mechanisms like hindsight and self-attribution. The way the management of a company presents material on earnings calls can also influence analysts. Gamblers fallacy is thinking there will be a long-term reversal back to average more often there actually is. 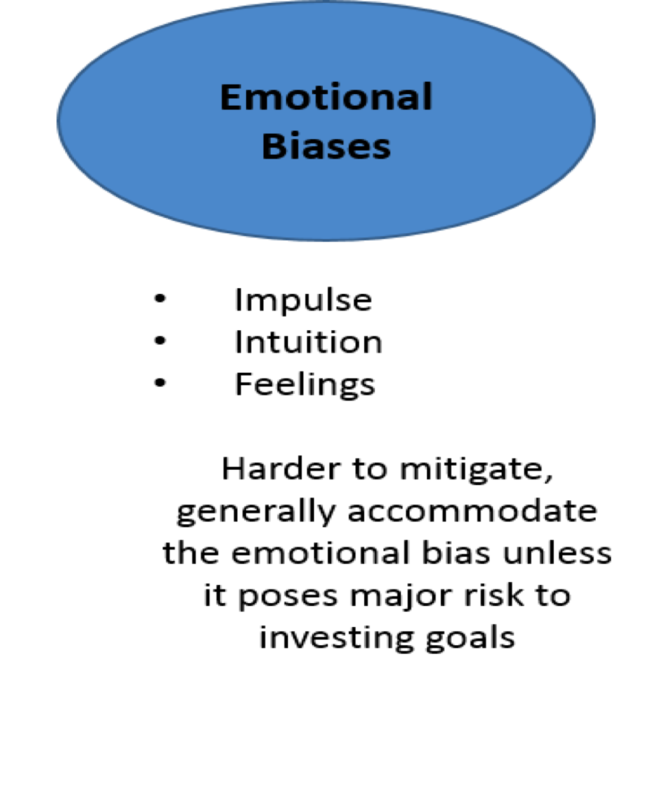 You seen see our full post on biases by investory type here.